This paper was presented on May 10, 1998 at the International Conference on Recent Trends in Research on Terror and the Fight against Terror in Memory of the late Professor Avner Yaniv at the Department of Political Science, Haifa University. Basically, Iran’s ideological doctrine, its strategic aims and its political interests have not changed since Khomeini’s ascent to power in 1979. However, their implementation has been adapted to the changing global and international developments and the internal economic and social constraints in Iran itself. In essence, Iran has used terrorism since the advent of the revolutionary Islamic regime in order to achieve these aims and has seen terrorism as a legitimate weapon in its foreign policy. On the internal level, the Iranian Islamic revolutionary ideology strives to establish a model Muslim society that would solve the economic, social and political afflictions of the people. On the international level, its chief aim is to export and spread the Islamic message to the oppressed Muslims all over the world so as to convince and help them to carry out their own revolution. The export of the revolution is regarded by the regime’s staunchest defenders of the Islamic ideology (the so called “conservatives” and “radicals”) as the main goal of Iranian foreign policy. In the same ideological context, the struggle against all alien ideological and cultural influences, primarily against the Western predominance over the Islamic nations, has led Iran to adopt Jihad against “heretics” everywhere. This has been directed mainly against the United States and its allies. The Iranian leaders’ call to all Muslims to unite under the banner of Jihad, to stand against the great powers and repel the “imperialist onslaught” has been heard by many Shi’a, and later also Sunni, radical movements in the Middle East and afar. From the strategic point of view, Iran is and considers itself to be an important power in the Gulf region, in the Middle East and in the area of the Muslim countries of the CIS, with legitimate interests to defend and expand. Although these interests are presented as subordinated to the more elevated Islamic values, in fact they represent the nationalistic facet of the Iranian regime. Unfortunately there is no place in this paper for a detailed evaluation of the influence these conflicting ideologies have on the policy of the Iranian government. There is consensus in academia and among political observers that the regimes as such is on the whole stable and there is no serious threat to it from the weak Iranian opposition. However, the economic and social hardships of the last years and the growing disillusion from the unfulfilled promises of the revolution, have led the Iranian government to be worried by a possible deterioration in the situation and the distancing of the people from the religion itself. The growing internal difficulties compel it to be vigilant at home as well as abroad, and by the Iranian standards this means to strike hard at the “enemies of the revolution”. In the eyes of the Iranian regime the liquidation of opposition and dissident leaders and militants is seen as a legitimate action in the defense of Islam. According to the Khomeinist doctrine the revolution and Islam are one, and therefore the fidelity to the regime is a duty to Islam itself. An offense against the regime is an offense to Islam and must be punished, be the offender in Iran or abroad. This is one of the central motives behind the indoctrination effort of the regime in order to keep the unity of the revolutionary camp and to fight its enemies. The implementation of the fatwa against Salman Rushdie, his assassination or that of those propagating his writings, be they Muslims or not, is considered a religious duty for all the Muslim ummah and a legitimate act of justice, whose role is to bolster the regime’s revolutionary zeal and that of the devotees inside and outside Iran. In this case the attacks on non-Muslims, even against Christians on Christian “territory”, is a sacred task, even if it implies a conflict with the local authorities. As the fatwa was issued by Khomeini himself and the spiritual leader of the revolution is dead, no politician in the Iranian regime would dare to annul the vilaya al-faqui’s ruling, even if he wanted to. This paradox stands at the bottom of the unresolved conflict poisoning the relations between Europe and Iran for almost a decade. In this framework it is of interest to analyze and compare Iran’s policy of the use of terrorism for furthering its ideological, strategic and political goals during the Khomeini era and during that of Khamene’i and Rafsanjani’s. This will permit us to better evaluate the realities and the obstacles faced by the new president and their weight in any change in Iran’s terrorism policy. 1. During the years 1979-1996 some 70 Iranian opposition leaders and activists have been assassinated by Iranian agents or proxy agents, i.e. terrorists belonging to radical Islamic groups and organizations. 2. 30 Iranian opposition activistwere murdered in the 11 years after the revolution (1979-1990), while during the years 1991-1996 more than 40 were assassinated, which means that about 65% were eliminated during Rafsanjani’s administration period. 1. 27 opposition activists were assassinated in various countries of the world in 23 terrorist attacks mounted in the period 1991-1996 (the rest of the 13 murdered were attacked in Iraq or the Iraqi Kurdistan). 13 more innocent people were killed or injured during these attacks. A Japanese translator of Rushdie’s book was killed and the Norwegian and Italian publishers of the same book were wounded. 2. 70% of the 23 attacks were perpetrated in three countries: Germany (4), France (4) and Turkey (8), by all standards, important countries. France and Germany were leading at the time the “critical dialogue” between the European Union and Iran and were the most sympathetic and helpful to Iran’s political, financial and economic claims during the difficult negotiations between the two sides. Turkey is a regional secular power with which Iran shares conflicting strategic interests but also important economic stakes. 1. During the long period of the Gulf crisis and the war itself (October 1990 - April 1991) no Iranian terrorist activity was registered and almost no serious attacks by its radical Islamic proxies, apart from several attacks in Turkey against American targets. Immediately after the end of the war a series of assassination of opposition militants occurred, the most conspicuous being the murder of the ex-prime minister Shapour Bahtiar in August 1991 in Paris. 2. During the period 1991-1996, the year that registered an astonishing decline in terror attacks was 1995, with only one major assassination attack. 3. In 1996 there was a sharp resurgence in the Iranian activity together with a return to the old trend of the 1980s - indiscriminate terrorist attacks against civil targets. In March a huge mortar was discovered on an Iranian ship in Antwerp (Belgium} specially designed by the Iranian military industry for the bombing of a civilian target in Germany or France (it is not clear if it was intended to attack an important opposition target or an Israeli embassy). In May, a similar mortar was discovered in Baghdad, pointed to the headquarters of Mujahedin-e Halq (MEK), an Iranian opposition terrorist organization. During spring 1996 Iran was probably behind the suicide attacks of Hamas and the Palestinian Islamic Jihad (PIJ), which seriously hampered the peace-process in the Middle East. Last but not least, there are also indications and some evidence that Iran was involved in the suicide bombing of the al-Khobar Towers in Dharhan, which killed 19 American military personnel. In its first years, the Iranian revolutionary regime brutally attacked, mainly through its proxies, American and Western targets--one should remember the deadly suicide attacks launched by Hizballah against the American embassy, the Marines’ headquarters and the French troops in Beirut and the kidnapping of many British and American citizens in Lebanon, or the hijacking by Shi’a terrorist groups of so many planes during that period. Nevertheless, it has been careful not to directly strike at such targets during the 1990s, apart from the attacks against individuals connected with the publication of Rushdie’s book. As previously mentioned, it seems that 1996 marked a change in this policy, as proved by the use of a “supermortar” in an European country which would have resulted in the death of many innocent local victims, and the possible involvement in the Dharhan attack. 1. A failed bazooka attack against an employee of the Israeli Consulate in Istanbul (January 1992). 2. The suicide car bomb attack against the Israeli Embassy in Buenos Aires, Argentina (March 1992). 3. The assassination of the security officer of the Israeli Embassy in Ankara (March 1992). 4. An attempt to bomb the main synagogue in Istanbul (March 1992). 5. The attempt to assassinate on a leading member of the Jewish community in Istanbul, by bazooka fire (January 1993). 6. An attempt to place a car bomb at the Israeli Embassy in Bangkok, Thailand (March 1994). 7. The suicide bombing of the Jewish community building (AMIA) in Buenos Aires, Argentina (July 1994). Turkish Islamic terrorists connected with Iranian agents or trained by the Iranians were involved in most of the incidents on Turkish soil. In Bangkok an Iranian citizen was sentenced to life imprisonment for his part in the terrorist attempt there, but was recently released after heavy Iranian pressure was put on the Thai government. There is some evidence that Hizballah was behind the two suicide bombings in Buenos Aires and that Iran was also involved. 1. The American, French and virtually all Western troops were expelled from Lebanon and Iran obtained a military stronghold in the country, so important from the point of view of the Shi’ia revolutionary regime. 2. Hizballah, Iran’s creature and obedient ally, became a major player in Lebanese politics and its best tool in the fight against the “Zionist enemy”. 3. The affair of the kidnapped Americans and Europeans helped “cleanse” Lebanon of all Western influence and also brought some economic and military bonanza (see for instance the Irangate affair,). 4. The series of terrorist attacks staged by Iranian agents in France in 1985-1986 and the pressure brought by them on the French government helped to reduce the military assistance given by France to Iraq, still at war with Iran at the time. It also helped to resolve the dispute concerning the financial assets frozen in French banks in Iran’s favor. 5. Finally, Iran’s standing in the Gulf, the Middle East and all over the Muslim world, was greatly enhanced, making Iran a model and a patron for many of the radical Islamic groups which emerged in the region, Shi’a and Sunni alike. The election of Rafsanjani to the presidency in 1989, after Khomeini’s death and the end of the war with Iraq, had raised hopes in the West that he would be willing and able to change the revolutionary trend and pursue a more moderate foreign policy. At the same time, most of the conflicting issues on the agenda (like the liberation of the kidnapped Westerners and of Iranian agents involved in previous terrorist activities in Europe) were solved during his early presidency. Thus, Iran abstained from any provocative steps during the months of preparation and the outcome of the Gulf War, while waiting for the results of a campaign which would obviously influence Iraq’s strategic status in the region and vis-a-vis Iran. Not only the complete Iraqi defeat in the war, but also the deep strategic changes implied by the disintegration of the Soviet Union, the other “infidel” superpower, and the whole communist system, plus the birth of new Muslim republics on its Northern border, strengthened Iran’s position as a regional power. Iran could now feel confident of its new strategic strength and ready to continue the elimination of any opposition abroad. And tant pis if the activists lived mainly in Western countries and the assassinations could endanger the relations with their governments, well known for their weakness in face of the Iranian resolve! But another important consequence of the second Gulf War, which Iran could not ignore, was the emergence of the United States as the only superpower, and its determination to lay the foundations of a New World Order based on democratic and liberal values, an anathema to the revolutionary regime in Tehran. One of the first U.S. moves for the implementation of the new order was the sponsorship of the political negotiated process in the Middle East between Israel, its Arab neighbors and the Palestinians, inaugurated at the Madrid Conference in October 1991. Iran immediately perceived the threat to its ideological and strategic interests: the recognition of Israel’s legitimacy as a state in the Middle East and the consequent strategic, political and economic advantages to the Jewish state; the consolidation of the moderate Arab regimes and at the same time the threat to the radical Islamic movements, such as the Hizballah, if Syria joined the process in earnest; the isolation of Iran on the regional level and its defeat on the ideological ground. Iran immediately convened a conference in Tehran reuniting all the terrorist and radical organizations hostile to any negotiation with Israel and ready to continue the struggle against it in a common Islamic front, under Iranian leadership. At the closing of the Tehran conference, the regime took the decision to support the “Palestinian Resistance” on the humanitarian, financial, political and military level and established a special committee under the chairmanship of the vice-president in order to implement the decision. The struggle in support of Palestine has thus become one of the few issues were there is overlapping between Iran’s ideological-revolutionary and national-pragmatic interests. The materialization of this support included the stepping-up of weapons supplies to Hizballah, through Syria or by direct flights to Beirut; financial support and training of Hamas and PIJ terrorist militants in camps in Iran itself or more often in the Hizballah or Revolutionary Guard’s camps in the Beka’a valley in Lebanon. Moreover, Iran helped or directed acts of terror against Israeli targets, although Iranian propaganda linked the attacks of March 1992 to the Israeli military activity against Hizballah and those of March and August 1994 to the massacre of innocent Muslims in Hebron by an Israeli religious fanatic. As a matter of fact they fitted into the overall Iranian and Islamic strategy to sabotage the political process. The fact is that the Bangkok operation, for instance, was prepared nine months before the massacre in Hebron and it was probably a joint venture between Hizballah and Iran. The culmination of this Iranian subversive activity occurred during the months of February-March 1996, while the terrorist suicide attacks perpetrated by Hamas and the PIJ practically stopped the political process and also brought about the fall of the Peres government. At about the same period appeared the first evidence of direct Iranian involvement in the training and preparation of Palestinian terrorists to be sent in Israel by the Islamic organizations. Hizballah also adopted this modus operandi, by mounting what is thought to be its first terrorist penetration operation through Israel's international borders. The question arises then what provoked the sudden Iranian inactivity in the terrorist field in 1995 and its subsequent upsurge in 1996. The answer to this question is very likely related to the policy of the leading European countries and the United States towards Iran. At the G-7 summit meeting of the most industrialized nations, in Munich in July 1992, the United States proposed a strong condemnation of the Iranian policy concerning the quest for nuclear weapons, its support to international terrorism and the abuse of human rights in Iran. The censure was cancelled due to the European's, and especially Germany's, opposition. At their summit meeting in Edinburgh in December 1992 the European Union countries chose instead to open a “critical dialogue” with Iran in the belief that quiet diplomatic pressures accompanied by generous economic advantages would convince the Iranian regime to soften its stand on the main conflicting issues, and at the same time would strengthen Rafsanjani's position in his internal struggle against the “radicals,” who, it was assumed, forced upon him an aggressive foreign policy. France and Germany led and pushed forward the camp of those countries in the EU who believed in the success of this strategy. In May 1993 the American administration decided on a Dual Containment Policy (DCP), designed to neutralize the threat of Iraq under Saddam Hussein and to induce the Iranian regime to change its behavior in those aspects of its policy considered unacceptable (the quest for non-conventional weapons, its support to terrorism and the abuse of human rights). During spring 1995, under strong congressional pressure, the administration announced a total trade embargo on Iran. The repeated appeals of the U.S. to its allies to join the DCP and to put pressure on Iran were not accepted by the European countries and Japan, who preferred to continue their policy of “constructive dialogue” rather than resort to punitive measures. Moreover, the Europeans increased the economic assistance to and their investments in Iran and accepted an extension of Iran's foreign debt. Implicitly they gave support to the continuation of Iran's aggressive policy, without the risk of Iran becoming isolated on the international arena. The first sign of a possible change in the European countries' approach appeared at the G-7 summit (plus Russia), held in Halifax in June 1995, which in its final resolution urged Iran for the first time to abandon and condemn terrorism. 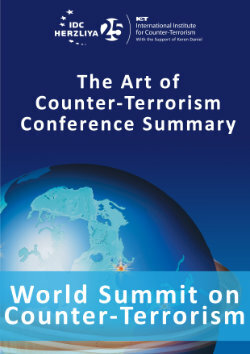 In order to counter the threat of terrorism, the summit leaders commissioned an experts’ group to investigate and report back to them before the next meeting of the industrial countries in Lyon, France in 1996. The Europeans seemed prepared to put into practice the firm stand presented by the Western allies. At the Paris meeting, in the framework of the “critical dialogue” with Iran held the same month, they urged the Iranian side to publish a formal statement by president Rafsanjani renouncing the implementation of the fatwa against Rushdie. They also raised the subject of Iran's opposition to the Middle East peace process and asked to end all support to the terrorist organizations assaulting the process (Hamas, PIJ, and Hizballah). It should be stressed that during the same year the trial of the Iranian officials involved in the murder of Shapour Bahtiar was to begin in France, a French judge actively pursued his investigations concerning other Iranian terrorist attacks on French soil and the French police behaved harshly with Iranian diplomats suspected of involvement in Algerian terrorist activity. In Germany the media published more and more findings of the legal authorities concerning the involvement of the Iranian Minister of Intelligence, Ali Fallakhian, in the Mikonos affair and two Iranian intelligence agents were expelled in connection with a plan to hit Iranian opposition leaders in Germany. This is only a succinct background of a more complex picture, but it seems to point to the main reason behind Iran's cautious behavior and the absence of significant Iranian terrorist activity during these months of 1995. For the first time the Iranian regime sensed a genuine resolute European attitude and feared to be isolated and to bear all the political, economic and internal consequences of the new situation. But the Iranian apprehensions proved to be short-lived. The next G-7 summits in Ottawa (December 1995) and Lyon (June 1996) adopted some measures of cooperation in the field of counter-terrorism, but did not mention again the Iranian involvement in international terrorism. The Sharm-el-Sheikh conference (March 1996), summoned after the deadly suicide attacks carried out by Islamic organizations in Israel, did not allude to the Iranian part in the devising aglorification of these acts of terror, because the EU participants and the Arab countries, feared again that such a resolution would reinforce the “radical elements” in Tehran. Turkey was probably the “hottest” battleground of the Iranian terrorist machine. A majority of its acts of terror were perpetrated on its territory, and its soil served as a base for some of the deadliest attacks in other European countries (like in the assassination of Bahtiar in France). 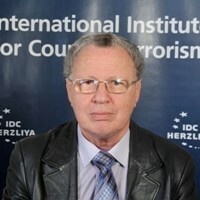 The remarkable thing about the Iranian terrorist activity in Turkey is not only its intensity and the large number and diversity of targets attacked, but the continuous aggression against Turkish citizens belonging to the secular intellectual and media elite and the extensive assistance given to radical Turkish Islamic organizations and groups and the PKK during the 1990s. The various Turkish governments riposted very cautiously in relation to the provocative and subversive Iranian policy, taking in consideration their major regional strategic and economic interests and fearing the potential of greater Iranian intervention through its Islamic proxies and support to the PKK. The advent of an Islamic government in Turkey for a short period in June 1996 only complicated things and prevented bolder Turkish initiatives against Iran. The Iranian leadership could therefore imagine that a more aggressive terrorist policy against Western interests, similar to that at the beginning of the 1980s, would provide better results. The open threats against German juridical officials or German citizens and interests in Iran, acts of terror against Israelis and Jews and even the assassination of an opposition leader in France, clearly carried this message. The isolation of the United States in its “dual containment” policy and the renewed interest of French companies to invest heavily in the Iranian oil-industry may have convinced the Iranian leaders that the time is ripe to strike at vital strategic American interests (like its military presence in the Gulf), taking all the necessary precautions not to link these attacks to Iran. It is instructive to underscore the British conduct during this period. The U.K. was one of the promoters of the “critical dialogue” with Iran at the Edinburgh summit in 1992. Britain continued to support the dialogue, but from a position of great suspicion, firmly demanding the revocation of the fatwa against Rushdie, while taking all the necessary and swift measures to prevent any Iranian act of terror. The fact is that no Iranian terrorist activity was perpetrated on British soil. What are the prospects for change? President Khatami's election was the result of considerable internal discontent and a desire for change in the framework of the Islamic system, and not the outcome of external pressure. Khatami is part of this system, although he was shunned because of his “liberal” views - liberal by Iranian Islamic standards. Khatami's first and main task will be to improve the economic situation and the welfare of the poor and open the regime to a more tolerant internal policy. Khatami probably intends to introduce changes in the Iranian foreign policy, and his interview on CNN addressing the American people was sufficiently clever to restate long-standing Iranian positions in a way that looks very different. The interview was accompanied by small détente steps toward U.S. but also raised sharp criticism from the conservative circles. Thus, Khatami brings the issues of changes in foreign policy to the forefront of his political priorities and to the battleground with his opponents. It is clear to all observers that without a deep reshuffle in the key positions of the Iranian security, military leadership, and bureaucracy, no real change is possible. The new government reflected, indeed, some important changes, notably the removal of the Intelligence Minister, Ali Fallakhian, considered one of the driving forces behind Iran’s support for terrorism, and the nomination to the Ministry of Interior of Abdollah Nouri, one of Khatami’s foremost moderate supporters. The changes in the intelligence and military command and their acceptance by the conservative Majlis confirmed Khatami’s strength and resolution but did not bring an end to the confrontation with the conservatives. After a short period of hesitation and confusion the conservatives struck back. The Spiritual Leader Khamane’I gave a radical address to the Tehran Organization of the Islamic Conference (December 1997). Khamene’i’ maliciously attacked the moderate and respected Ayatollah Montazeri concerning the issue of marja-i taqlid,. And finally, Tehran’s successful mayor, one of Khatami’s important moderate supporters was arbitrarily detained (he was liberated after ten days of political pressure and student demonstrations). On the terrorism front itself the signs also seem conflicting. Khatami declared that Iran continues to oppose the peace process in the Middle East and depicted Israel as a racist, expansionist and terrorist state. According to Israeli sources, the flow of weapons to Hizballah is continuing and Iran is still providing the Palestinian terrorist groups with funds and military training. Recently, representatives of terror groups met in Tehran to coordinate their activities with Iran. On the other hand, according to an article published in The New York Times on March 22, 1998, Khatami recently sent US President Bill Clinton a message vowing that Iran would no longer support Islamic terrorist groups that oppose the Middle East peace process and would respect any Palestinian decision concerning a peace agreement with Israel. Moreover, Atallah Mohagerani, Iranian Culture and Islamic Guidance Minister stated that if Israel withdraws from Lebanon under provisions of secure and final borders there would be no further need for the military activities of Hizballah. Contrary to the Palestinian and Arab international terrorism of the 1970s and 1980s, which stemmed mostly from strategic constraints and operational necessities, the Iranian terrorism has a strong ideological basis and receives its legitimacy from the revolutionary Islamic dogma itself. Terror is seen as a legitimate tool in internal politics and for the conduct of foreign policy. Terrorism is no longer the business of outlawed terrorist organizations or of aggressive intelligence services, but the outcome of policies formulated and decided upon at the highest religious and governmental echelons. The fact that the Iranian religious ideology and its methods were accepted and emulated by many radical Islamic organizations--in the Middle East, in North Africa, and practically wherever there are active Islamic communities - has raised the fear of a war of cultures with the rest of the non-Islamic world--mainly a war against the Western culture and values. The conservative elements inside Iran will certainly attempt to maintain this ideologically aggressive foreign policy. It is likely that their recent steps in the confrontation with President Khatami and his moderate supporters are only the beginning of a long struggle about the nature of the regime. In this struggle any thing goes - including the weapon of terrorism - in order to sabotage Khatami's attempts to open the regime internally and moderate its foreign policy. Therefore, what is at stake in the following months and years in the internal factional struggle in Iran is not only the kind of regime the country will get but also, perhaps, the fate of the strategic and cultural conflict with the West. In light of the past experiences and lessons, it seems that only a firm and resolute stand on the part of the Western powers, allied and cooperating on all levels, will help the new Iranian administration to win the battle. 1. In April 1988, Ayatollah Khamene’i declared at the Tehran Friday prayer that ‘exporting the revolution is like glitter of the sun of which rays...brighten the entire world”. See Etalla’at, 9 Apr. 1988, as cited by Haggay Ram, “Exporting Iran’s Islamic Revolution: Steering a Path between Pan-Islam and Nationalism”, in Terrorism and Political Violence, vol. 3, 1997, Special Issue on “Religious Radicalism in the Greater Middle East” edited by Bruce Maddy-Weitzman and Efraim Inbar , (pp. 7-24), p. 11. 2. As stated by Khomeini in a speech given on 19 Feb. 1978 at Najjef, a year before his advent to power. Cited by Amnon Nezer in The Monthly Review, March 1988, pp. 15-38, Israeli Ministry of Defense Publications, Tel-Aviv (in Hebrew). 3. See David Menashri, Iran Between Islam and the West, 1996, The Ministry of Defense Publications, Tel-Aviv, p. 146 (in Hebrew). 4. Most of the statistical data concerning the terrorist attacks on opposition activists is based on the “Appendix to Action Memorandum 011: Alleged victims of Iranian government ‘hit squads’, 1979-1996”, Foundation for Democracy, 6 May 1966 (see their website) and the “List of Victims of the Mullahs' Regime Terrorist Activity Abroad” published by the National Council of Resistance of Iran (see their website http://www.iran-e-azad.org/english/terrorlist.html}. If someone had doubts about the veracity of those publications, the last trials in France and Germany have proved that the Iranian opposition was right in its pointing the finger towards the Iranian government. 5. In January 1997 Iranian agents tried to attack again the Baghdad headquarters of the MEK using a “supermortar” of a design similar to that discovered aboard the Iranian ship “Kolahdooz” by Belgian customs authorities in early 1996. The attack was unsuccessful, resulting in the death of one person and some damage to an Iraqi hospital building. See: US Department of State, Patterns of Global Terrorism: 1997, April 1998. 6. See: Michael Eisenstadt and Patrick Clawson, “Iranian Terror against Americans? Possible US Responses”, Policywatch, No. 212, 7 Aug. 1996; and Kenneth M. Pollack, “What if Iran was Behind al-Khobar? Planning for a US Response”, Policywaych, No. 243, 16 Apr. 1997. 7. At the beginning of May 1998 Iran's cultural attache to Buenos Aires has been linked again to the 1994 bombing of the AMIA Jewish Community Center. The Argentinean public prosecutor said that the Iranian cultural attache had been under suspicion for some time in connection with the blast and has been debarred from returning to Argentina since March. The Argentine judge heading the investigation has recently debriefed in Germany an unidentified witness who claimed that the Iranian attache carried out the “intelligence groundwork” for the attack. See Reuters, 5 May 1998. 8. The arrested terrorists in Israel, Khalil ’Aita (PIJ - Shqaqi Faction) and Hassan Salameh (Hamas), provided evidence of Iranian involvment in the supply of logistic and financial assisstance and training to their organizations. 9. Muhammad Hussein Mikdad, a Lebanese Shi'i, and accountant for Hizballah's social welfare services in Lebanon, was chosen by the organization’s apparatus for overseas security to become a maverick terrorist. In April 1996 he arrived by plane from Zurich to Tel Aviv with bomb parts hidden in a carry-on bag and entered Israel on a forged British. On April 9, Mikdad checked into a hotel in East Jerusalem, where he was to assemble a bomb intended to explode in a public place in Israel. On April 12, Mikdad was badly wounded when the bomb he was assembling in the hotel room accidentally detonated. Mikdad was trained for the preparation of the bomb at the Iranian embassy in Beirut. See the information on the Internet site of The International Policy Institute for Counter-terrorism (ICT). 10. On the American, European and Japanese policy see: Patrick Clawson, "What to Do about Iran", The Middle East Quarterly, December 1995. 11. For a discussion on the DCP see Wm. Millward, “Containing Iran” Commentary No. 63, a Canadian Security Intelligence Service publication (http://www.csis-scrs.gc.ca/eng/comment/com63e.html), November 1995. 13. The trial concerned two fugitive terrorists and an Iranian official, Hossein Sheikhattar. Judge Bruguiere was behind most of the investigations concerning serious acts of terror perpetrated in France. Two Iranian diplomats were arrested by nervous security officers near the location of a bomb placed by GIA (Groupe Arme Islamique) terrorists in the heart of Paris. 15. For a detailed evaluation of the changes in the post-election Iran see: David Menashri, “Assessing Khatemi's Victory in Iran” Policywatch, No. 251, 5 June 1997. David Menashri, “Whither Iran? The Khatami factor” Policywatch, No. 258, 30 June 1997. David Menashri, “The New Iranian Government: Continuity and Change” Policywatch, No. 266, 27 Aug. 1997. Darius Bazargan, “Iran: Politics, the Military and Gulf Security” MERIA Journal 3, BESA Center, Bar-Ilan University, Sep. 1977. 16. See: Patrick Clawson, “Prospects for Dialogue with Iran: Implications for U.S. Policy”, Policywatch No. 289, 16 Dec. 1997, and “Kathemi’s Dialogue with America, not with Washington”, Policywatch No. 293, 8 Jan. 1998 . 17. See: David Menashri, "The New Iranian Government: Continuity and Change” Policywatch, No. 266, 27 Aug. 1997; Kenneth Pollack, “Iran: Shaking up the High Command,” Policywatch No. 269, 1 Oct. 1997; Olivier Roy and Azar Nafisi, “The Khatami Phenomenon in Iran: “The Beginning of the End for the Islamic Republic?”, Policywatch, No. 309, 8 Apr. 1998. 18. Ayatollah Montazeri, who once has been the chosen heir of Khomeini, called in a major address in Qom for limiting Khamene’i’s powers and challenged his status as marja-i taqlid, the traditional title for the most senior Shi’a cleric. 19. See Ha’aretz, 24 March 1998. 20. Mohagerani, who is also Iran’s government spokesman, made the declaration in a press conference on 28th March at the Iranian Embassy in Paris. He said that Hizballah would continue to exist as a political party, and would focus instead on political and cultural activity within the framework of internal Lebanese politics. But, of course, it would give up its military apparatus and activities. On this interesting issue and Iran’s relations with Hizballah, see the article by Reuven Erlich.